Below is a collection of free printables for teachers to download for use in the classroom. Are you are a teacher, professor, homeschool parent, tutor, or other educator? Then you have my permission to save these resources on your computer, print them out, and use them without restriction. Sight Words Lists, Math Flash Cards, printable U.S. and World Maps including a list of U.S. state capitals, a Multiplication Chart, easy and difficult Sudoku Puzzles, and printable Word Search Puzzles. Sight words are common words that beginning readers should learn to recognize without sounding them out. 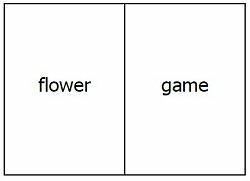 I've created several sight words lists and flash cards you can print out for free. You have my permission to print and distribute these lists for personal and classroom use, but you cannot sell them. Choose between vertical flash cards, which look like traditional flash cards, or horizontal cards, which require less paper to print. Teachers have printed these for distribution in their classrooms as an economical way to provide a set of cards for each student. Students receive a set of math flash cards for free, which they can review at home or school as often as needed. A printed multiplication chart can help students learn basic multiplication facts. In addition to the math facts, the chart illustrates the multiples in an easy-to-understand, visual way. All multiplication facts from 0x0 to 12x12 are included. There are three sizes, from pocket size to a slightly larger size useful for hanging in the classroom or at home. There are several world maps on this site you can download and print for your students or classroom. The maps show the outlines of the countries and/or continents. The maps are useful when teaching students the names of continents, countries, and even world capitals. 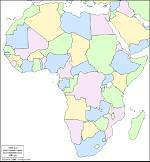 Continent names are included on the maps, but country and capital city names are not listed on most of the maps. Ask your students write this information on the maps as a learning exercise. The U.S. State Capitals page links to an online State Capitals Quiz you might find useful. 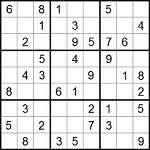 Sudoku is a number-based logic puzzle. To solve the puzzle, you must fill in the numbers 1 through 9 exactly once in the empty spaces of each row, column, and 3x3 cell. There are four easy and four hard Sudoku puzzles to choose from. Word searches are another type of puzzle many students enjoy. They can be handed out when your students need a break or as a warm up for class (as mentioned above). There are 16 different printable word searches, including Back to School, Butterfly, Dinosaur, Earth Day, Memorial Day, Rain Forest, Wedding, and Spanish Vocabulary word searches. 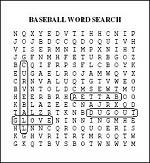 There is also a browser-based version of each word search that can be solved online. Special Needs. I also have a collection of printable "special needs" word search puzzles. These simplified word searches are helpful for children or adults with traumatic brain injury, autism, or other cognitive special needs. Also free, of course! If you have a "teacher page" on your school's website, please consider linking to this site. There are over 500 pages of free memory tips, brain games, and other educational resources for your students here. A link to my site is a vote of confidence and encouragement, and I appreciate it very much!